The National Leader of the All Progressives Congress, Asiwaju Bola Tinubu, has said he will devote the rest of his life to the defence of democracy in Nigeria. He said Nigeria must keep perfecting its democracy despite the daunting challenges, The Punch reports. The former governor of Lagos State said this in a statement, titled, “We must not take our democracy for granted,” on Sunday. According to him, the country needed an unrivalled fiscal policy to weather the economic storm. 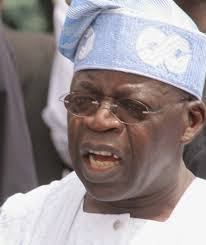 Tinubu said those that looted the national treasury in the last administration were trying to use the backdoor to continue their corrupt acts. He said the country could not afford to fall into their deceit in order not to forfeit the nation’s future. He said, “I have devoted most of my life to the struggle for Nigerian democracy. I would be more than happy to devote the rest of my days so that democracy can thrive and erase the unjust imbalances that have for too long been a heavy surcharge against the lives of most of our people. The APC chieftain said for the Federal Government to accomplish its economic rescue plan, it must dedicate unprecedented amounts for productive expenditure in the areas of transportation infrastructure, power generation, food security and job creation. The statement partly read, “We have entered a period of stagflation where recession or shrinkage of the economy is accompanied by higher prices. Unfortunately, if we try to fight both at the same time, we fight neither effectively. Given the rate of joblessness and poverty, it is more fitting to fight recession at this point than to focus on inflation.